TALLAHASSEE, Fla. (WTXL) — Autism is a struggle for many children today, yet not all parents know how to spot the signs. 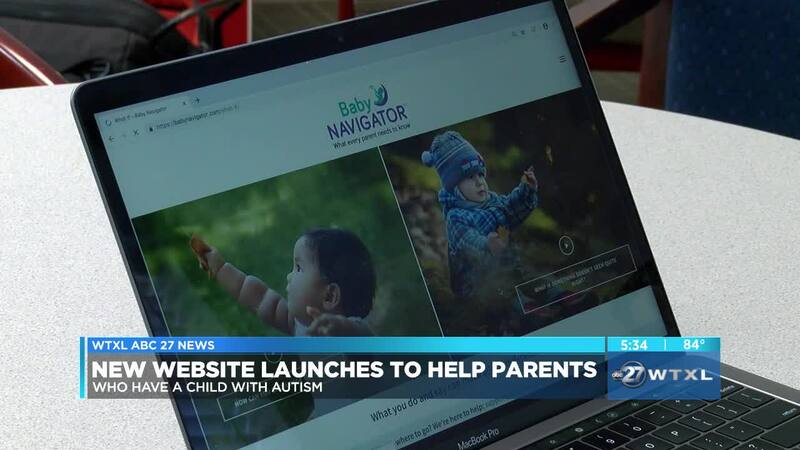 That's the main purpose of the new website ' Baby Navigator ,' which was launched by a developer at Florida State University. Rachael Currie's daughter was 12 months old when she noticed something wasn't right. "She wasn't using words, she wasn't making eye contact with me, and she was sticky with objects," said Currie. "Being around my friend's kids who were the same age... things didn't look the same." Rachel knew she had to do something to help her child. Luckily, the Baby Navigator website had suggestions to get her daughter's developmental skills on the right track. "The tools I have been able to access through the Baby Navigator website have been life-changing for us," said Currie. Baby Navigator officially launched last week. It's a tool that allows parents to screen their child for communication delays, which can be an early sign of autism. The site also has videos that teach parents how to support their child's learning. It's free for parents to use. The website developer, Dr. Amy Wetherby, wants parents to take advantage of this tool. She says the earlier you can detect autism the better. "If we can catch autism by 18 months... we can get children into treatment and their outcomes will be better than if we wait until they are older," said Dr. Wetherby, who is the Director of the FSU Autism Institute. Because with the right help, children with autism can grow up to be just as successful as anyone else. "Getting them ready for school so that they can succeed, then graduate and get a job," explained Dr. Wetherby. "That's the goal." To explore the Baby Navigator website, click here .